For other uses, see Lando. According to the Liber pontificalis, Lando was born in the Sabina, and his father was a wealthy man named Taino from Fornovo. The Liber also claims that his pontificate lasted only four months and twenty-two days. A different list of popes, appended to a continuation of the Liber pontificalis at the Abbey of Farfa, was quoted by Gregory of Catino in his Chronicon Farfense in the twelfth century. It gives Lando a pontificate of six months and twenty-six days. This is closer to the duration recorded by Flodoard of Reims of six months and ten days. The end of his pontificate can be dated to between 5 February 914, when he is mentioned in a document of Ravenna, and late March or early April, when his successor, John X, was elected. Lando is thought to have been a candidate of Theophylact I, Count of Tusculum, who was the powerful man in Rome at the time. 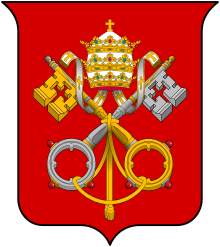 His family controlled papal finances through their monopoly of the office of vestararius, and also controlled the Roman militia and Senate. During his reign, Arab raiders, operating from their stronghold on the Garigliano river, destroyed the cathedral of Vescovio in Sabina. No document of Lando's chancery has survived. The only act of his reign that is recorded is a donation to his native diocese mentioned in a judicial act of 1431. Lando made a large personal gift to the diocese to restore the cathedral of San Salvatore at Vescovio so that the clergy who were then living at Toffia could return. ↑ Pope John Paul I, elected in 1978, took a new combination of already used names, in honour of his two immediate predecessors, John XXIII and Paul VI. ↑ Pietro Fedele, "Ricerche per la storia di Rome e del papato al. sec. X", Archivo della Reale Società Romana di Storia Patria, 33 (1910): 177–247. ↑ Herbermann, Charles, ed. (1913). "Pope Lando". Catholic Encyclopedia. New York: Robert Appleton Company. 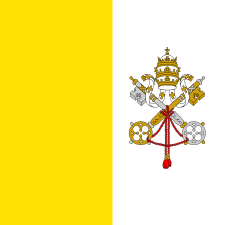 ↑ The Conclave: August 25–26, 1978. Accessed 2013-03-18. 1 2 3 4 5 Umberto Longo, "Landone, papa", Dizionario Biografico degli Italiani 63 (2004). 1 2 Harald Zimmerman, "Lando", in Philippe Levillain, ed., The Papacy: An Encyclopedia, Vol. 2, Gaius–Proxies (New York: Routledge, 2002), p. 896. ↑ "Lando", The Oxford Dictionary of Popes, ed. J. N. D. Kelly, (Oxford University Press, 1988), 121. ↑ Roger Collins, Keepers of the Keys of Heaven: A History of the Papacy, (Basic Books, 2009), 175. 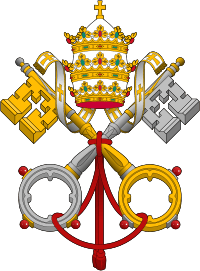 Wikimedia Commons has media related to Lando (pope).